Built by King Siddhinarsingh Malla in 16th century, Krishna Temple is a beautiful stone temple is dedicated to Lord Krishna and his beloved wife Radha. This temple is a unique piece of stone architecture in Nepal. 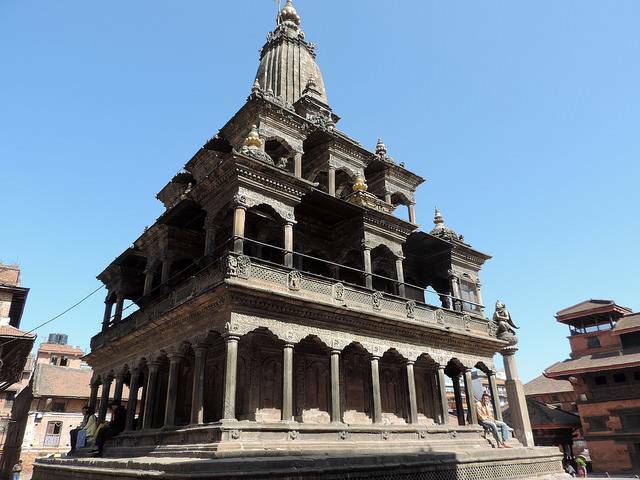 It is magnificent and made up of heavy materials and is built in the Shikhara style. It is two-storied temple where the first storey depicts scenes from the epic Mahabharata and the pavilions of the second storey are lined by the friezes from Ramayana. There are shrines of Shiva, Krishna and Lokeshwar on each floors.